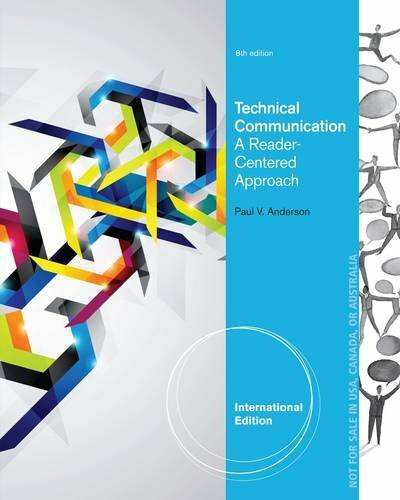 Thousands of students have successfully improved their writing and design skills using Anderson's TECHNICAL COMMUNICATION: A READER-CENTERED APPROACH. Known for its treatment of the rhetorical situation and coverage of usefulness and persuasion, this edition renews the focus on the reader-centered approach and includes new learning outcomes at the start of each chapter to help students gain more from their reading. 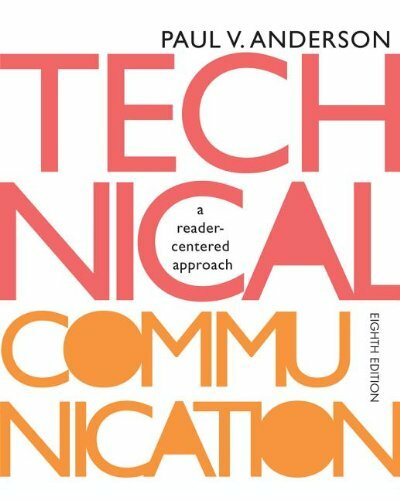 publications, which have won awards from the Society for Technical Communication and the National Council of Teachers of English, address such topics as technical communication practice and theory, ethical issues in research and teaching, research methods, pedagogy, and assessment. Dr. Anderson has been selected as a Fellow of the Society for Technical Communication, Association of Teachers of Technical Writing, and Miami University's Institute of Environmental Science. He has received the Jay R. Gould Award for Excellence in Teaching Technical Communication from the Society for Technical Communication.